Okay, so let’s talk Gatsby. I am sure you were forced to read it at some point growing up. It was one of those books that you might have just read the Cliff’s Notes on. I know that wasn’t just me. The famous book by F. Scott Fitzgerald is now being made into a movie for the 5th time. To be honest, before the hype surrounding this go-round I was only aware of one film adaptation as my English teacher in had us watch it after “finishing” the book. Gatsby is one of the years most anticipated films. The lavish opening was held Wednesday night at Avery Fisher Hall in NYC included a seemingly un-ending line of A-listers walking the red carpet. But no one caught my attention as much as Jay Z. It is no surprise that he was dressed to the nines. The co-creator of the soundtrack and executive producer of the film stood out above the rest. In a charcoal window pane two button suit, Jay Z continues to show that a hip hop artist can look as sophisticated as the next, all you have to do is add some men’s dress shirts to his wardrobe. Jay Z is showing us that 2013 is a big year for him, not that we are surprised, with Beyoncé as his wife every year is a big year. He has already made the cover of Time Magazine’s Most Influential issue and recently received a shout out from the President. There is no stopping Jay Z at this point in his career. It seems there is no mountain he can’t climb and no project he is afraid to tackle. Next on the list is a remake of Annie, a film that should fare quite well with an added twist of Jay Z’s flair. Of course no premiere is complete without an after party, the Plaza Hotel hosted the event where the stars danced alongside performers dressed as flappers to give it a modern day Gatsby feel. The event went out without any mishaps, and those who were able to view the film imply they are pleased with the final product, seems it was well worth the anticipation leading up to the premiere. We’ve waited a long time for George Clooney to come out and make a great thriller. ‘Michael Clayton’ was a start, but even that was a little slow at times. It looks like we’ll finally get our wish on September first, when ‘The American’ hits theaters. 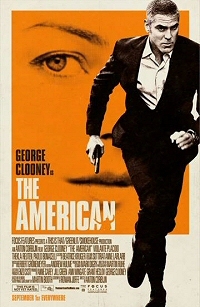 The movie, which was filmed on location in Italy, stars Clooney as a master assassin. When a job in Sweden ends more harshly than expected for this American abroad, he vows to his contact that his next assignment will be his last. Jack reports to the Italian countryside, where he holes up in a small town and relishes being away from death for a spell. The assignment, as specified by a Belgian woman named Mathilde (Thekla Reuten) is in the offing as a weapon is constructed. Surprising himself, Jack seeks out the friendship a local priest (Paolo Bonacelli) and pursues romance with a beautiful villager (Violante Placido). But by stepping out of the shadows, Jack may be tempting fate. To coincide with the film’s release, Bullz-Eye is offering up a $100 gift card along with a leather passport case for your next trip abroad. For more details on the contest, head over to our ‘The American’ contest homepage. Don’t miss the movie, in theaters this weekend!